"Like all guys I was going into my friends weekend bachelor party with extreme expectations and little to no planning. When push came to shove I called Maggie guidance because one realization became clear to me... No one wanted to take responsibility for the planning. Within a week we had a full slate of goods that covered us from start to finish. It was awesome not having to worry about plans, we were able to enjoy the weekend. 6th street rocks and Austin is an epic town! Thanks Maggie!" "When friends asks me for Bachelorette/Bachelor party advice in ATX, I send them straight to Maggie. 1) Because she is way cooler than me and 2) because she plans one hell of a party. Maggie really takes the time to understand who she is planning for, making each bash truly special and memorable. Whether it’s glamping, clubbing, bar crawling, site-seeing, barbecuing, Maggie has got you covered." "Maggie is a home grown Austin gal, who has been in the scene and embracing this city better than anyone for many years (I'm a witness). Any new happenin' spots or old original gems, she knows what's out there, what the crowd is like, when to get there and probably even has a friend or two on the inside. She'll let you in on the local secret spots or get you the lowdown of the famously fun, whatever you're looking for she's got it covered. Trust her with making the plans, trust yourself with enjoying them and go have a BASH." "Imagine the most fun party animal mixed with your dream event coordinator.. That is Maggie. 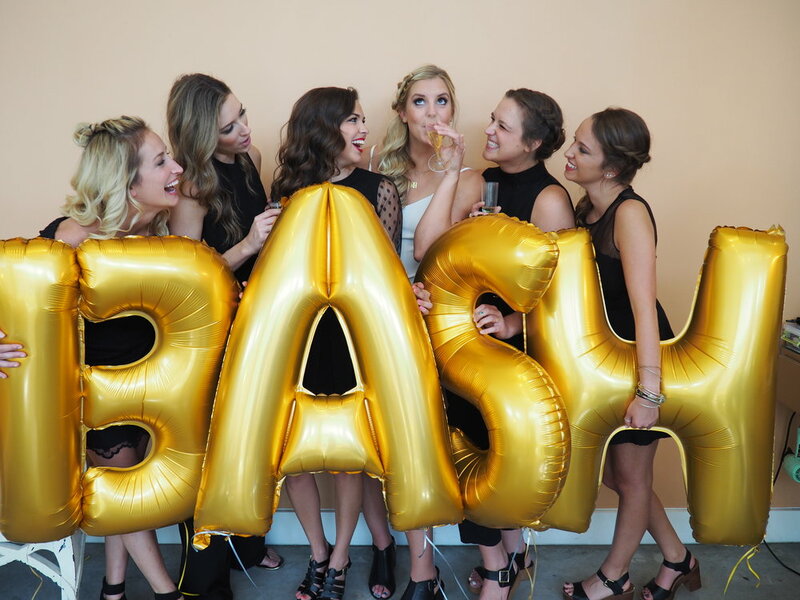 Not only will you want this girl to plan your bash, you'll want her to join in with you! Whatever your vision is, Maggie will take it and turn it into the most fun version! Attentive, dependable, creative.. The list goes on! Send your bachelor and bachelorette's to BASH, you'll be happy you did!"